A memorial paddle is something the average person doesn't know about of unless immersed in surf culture. 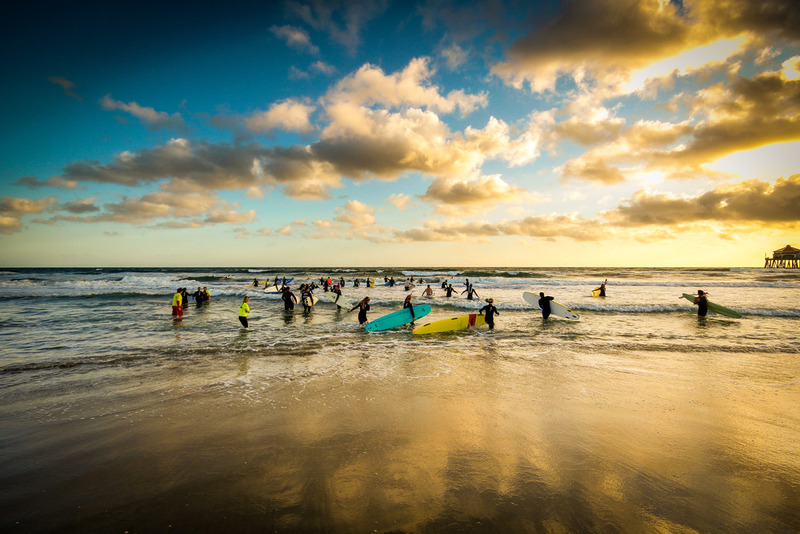 Taken at daybreak, Lincoln Nguyen's photo shows a group of surfers wading into the waves on Huntington Beach, CA to honor the life of a fellow surfer. The surfers will form a circle, hold hands, and say prayers for the lost one before starting their morning surf session. "In Huntington beach," Lincoln writes, "we are all connected by the ocean."